Welcome back decorating enthusiasts! Happy Friday everyone. Today’s intro is one of the cutest decorations that we have shown in a long time. 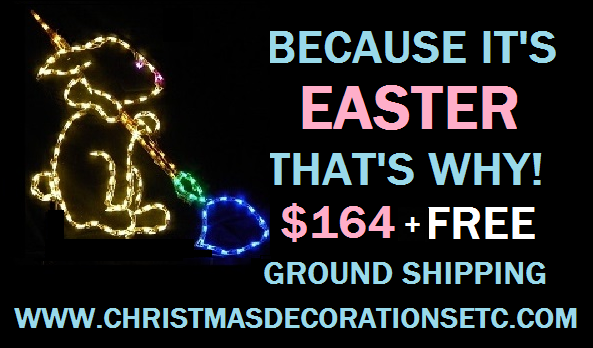 We call it the Lighted Easter Bunny Decoration and it’s perfect for use both inside and out. You can add this decoration to your springtime holiday display or show it by itself hanging from a railing or deck. How about connecting it to your garage or somewhere on the house. Sturdy, white steel frame is high quality and made in the USA. Trimmed in warm white LED string lights completely installed on the decoration. Simply take the decoration out of the box and plug it in. It’s already to go! The decoration has an actual size of 42 inches by 34 inches. So this lighted bunny will make a stellar first impression, regardless of where you put it. Order now and make sure you get a discount coupon. You also get free ground shipping which is provided by FedEx 3-5 day service. Easter is April 21st. It’s time to get your home and/or your business ready for the springtime Easter decorating season. Don’t delay, before you know it the Summer will be here and you will have missed the opportunity. If you have any questions please send an email to support@teamsanta.com or you can call toll free 888-770-7372. Spring has sprung! Until next time.. Welcome back to the Team Santa Inc. News Weekly. We hope your 2019 has started off just the way you want it. Team Santa Inc. wishes you health and happiness in the new year. 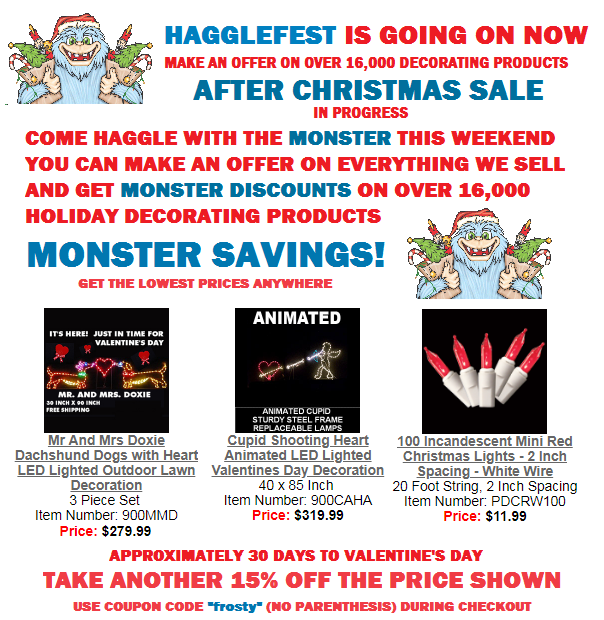 This week we launched Hagglefest. Team Santa Inc. wants to make a deal with you. We currently have three web stores filled with over 16,000 Christmas trees, holiday string lights,‎ outdoor lighted year round holiday decorations shatterproof plastic ornaments up to 16 inches in diameter. Plastic ornaments that are unbreakable and look exactly like glass. You will not be able to tell the difference. The price is low too. This is the perfect time to buy because everyone is submitting Haggle requests and Team Santa Inc. is making lots of deals. You are able to make secure payment with a debit/credit card and/or a PayPal account if you have one.‎ We send an secure online invoice to your email address. Its super convenient because its quick and easy! So go ahead and “make us an offer that we just can’t refuse”. We promise to give you the BEST DEAL we can. So come on over and let’s make a deal! Until next time…. Do you live in Canada? Well listen to this, not only does Team Santa Inc. ship to Canada, but if you are unfamiliar with the customs procedure, don’t worry about a thing, because Team Santa Inc. will handle the entire process for you. Larger orders sometimes have to encounter customs/border charges which as you know are paid to the Canadian government. If there are import charges related to your order, we will email you with the information and you can tell us what you want to do. Don’t sweat the paperwork. There’s no need to worry about anything because we have the connections. Just relax and place your order with piece of mind.‎ Team Santa Inc. has been shipping to all provinces of the Canadian territory for over 20 years and we do not have plans to stop anytime soon. So if you live in Canada and would like to place an order, don’t let the fact that you live in Canada stop you. ‎ Team Santa Inc. will work hard to make sure you receive your order quickly and in good condition. 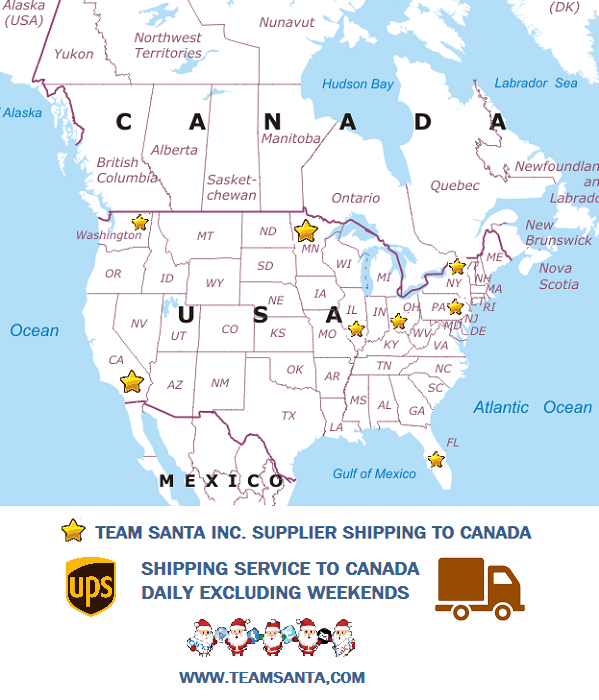 Team Santa Inc. uses UPS for most average size orders shipped to Canada. Large orders too big for UPS, ship by truck w/trailer. We are always happy to help you, 7 days a week, during normal business hours. Send email to our support staff at support@teamsanta.com. In less than six weeks Americans will be having Thanksgiving dinner. Are you having the shindig at your place? The reason I ask, is because if you plan to have Thanksgiving dinner at your home, you may want to consider putting up your Christmas Tree. Don’t you want your guests see your house when it’s decked out for the holiday season? You still have some time, but don’t wait too long. If you already own a tree then make certain that its ready to go for the Thanksgiving holiday. If you don’t have a Christmas tree, for this upcoming Thanksgiving holiday, then please visit Christmastopia.com and peruse over one thousand artificial Christmas trees that look more natural than the real thing. Your pets won’t be able to tell the difference. Artificial Christmas trees have come a long way over the past decade. They do in fact look more realistic than the real trees. Plus, purchase a tree with LED Christmas lights pre-installed. Unfortunately, real trees are a fire hazard. Prelits are a cool way to go for discerning customers. They tell their friends and so on and so on. Deck the halls and get started with the Christmas tree. Christmastopia.com has every type of artificial Christmas tree you could ever want and for ANY occasion too.‎ We just filled an order for a 14 foot black artificial Christmas tree for the network television series “Madam Secretary”. No other store online, offline, big or small has the selection that Team Santa Inc. has. All color trees, all color lights and all sizes, all ready for immediate delivery. Christmas trees five feet and over are entitled to FREE shipping inside the continental USA. So come by and take a peek. Thanksgiving dinner with no Christmas tree? I don’t think so! Pre-lighted Christmas trees come with 10 year warranty. Just try to pull that off with a real Christmas tree. Until the next time…. least 200 yards away. Along with the purple LED string lights are gold LED string lights which are designed to represent the cheese this creepy fellow is about to eat. At just about two and a half feet, the Lighted Monster Bat Halloween decoration is most impressive just about anywhere you display this Halloween decoration. Looks great indoors in a store or other type of commercial type establishment. Scare up some Halloween screams by using the Halloween decoration as part of your Halloween display. Stores are purchasing the bat for use as visual accent to a merchandise display. Have a bar, restaurant or other business, the rat will get your customers in the Halloween spirit real fast. Go ahead and use the BIG! Lighted Monster Bat Halloween Decoration on your house, railing, fence, garage and/or free standing in your yard. Another advantage is that it’s made right here in the USA.‎ All orders for the rat are entitled to FREE shipping. Please allow approximately 5-7 days for delivery. It’s actually a BIG! Lighted Monster Bat Halloween Decoration. Now is the time to start the scarring. October is a few days away, so it’s time to move into harvest theme. Hop to it! You guys are absolutely terrific! Team Santa Inc. appreciates the wonderful support that you provide. As an FYI offers for the rat are only good while supplies last. So get on your broom and go get your BIG! Lighted Monster Bat Halloween Decoration! Welcome back to another edition of the Team Santa Inc. News Daily. Today we want to tell you about a special Halloween offer. We are selling a very cool looking LED lighted Halloween BOO sign. The sign is the latest in our selection of lighted Halloween Decorations for 2018. The LED lighted Halloween “BOO” Decoration sign is not only for outdoor use but for indoor use too. Use sign indoors in your store. Depending what you sell, you can visually accessorize the lighted boo sign without much effort at all. It will definitely create a cool environment for your products for sale. Use it INSIDE a tavern, pub, bar, restaurant, etc. ‎Use it outdoors use wire ties and tie it to the fence in front of your house. wherever you are able to plug it in, you can use the LED lighted Boo Sign. LED means low operating costs for you. LED uses a fraction of the energy of a standard table lamp. The LED pays for itself over several seasons. ‎‎Say BOO! and add the Boo sign to your existing Halloween display or use it to start a new one. Free ground shipping by FEDEX. Please allow one week for delivery. Offer is good while supplies last. Delivering a blood red high power low energy LED lighting already pre-installed. All you do is take it out of the box and either hang the decoration on your fence or mount it in the dirt outside. It’s very cool indeed. Looks awesome hanging on a railing, off a deck, even inside a home or business. LED lights do not get warm so you can use this decoration inside as well. Only one plug so an efficient footprint. Looks absolutely fabulous hanging over your selection of Halloween merchandise or generic products. The Lighted BOO Sign is high quality, made with powder coated sturdy steel. The string lighting is added meticulously throughout the spooky Halloween Decoration. 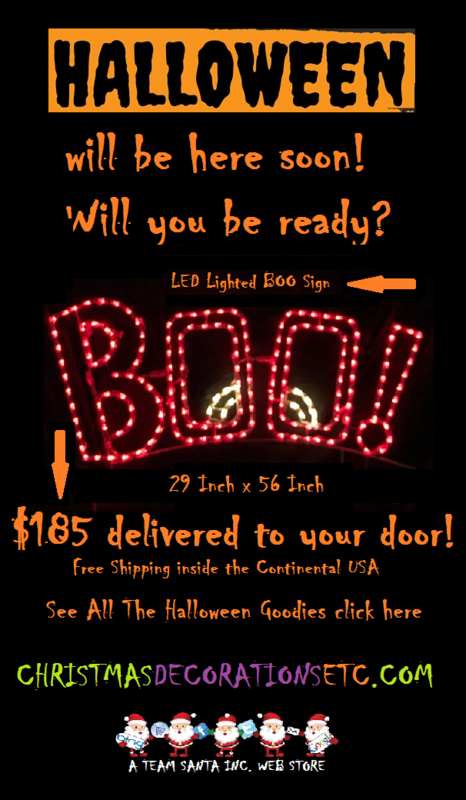 Lighted BOO Sign can be yours for only $185 delivered to your door. 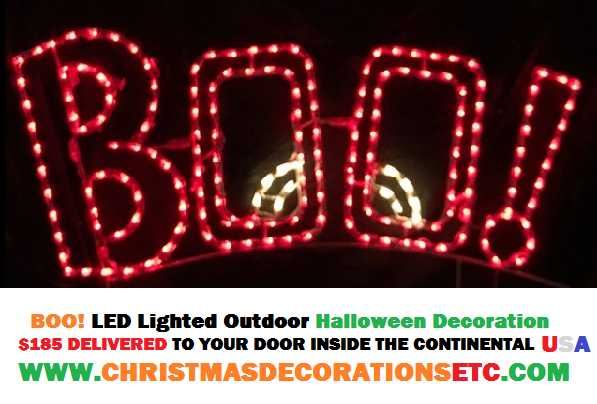 Free ground shipping inside the continental USA.‎ The lighted decoration is 26″ x 56″ so you get a lot of Halloween sign for the money. Don’t like the color red? You can have your choice of 7 different colors. Just tell us what color you want. This Halloween Decoration is proudly made in the U.S.A. Finally, your Halloween display will be complete with the lighted Halloween BOO Sign. Please allow 4 to 7 days for delivery. Offer good while supplies last. general manager at Team Santa Inc. and he manages most of the customer service matters for the Team Santa Inc. You will often find Sam on the other end of an email message when communicating with Team Santa Inc. He is totally obsessed with customer satisfaction. Sam welcomes you to give him a chance to help you with your holiday decorating this year. Sam claims to have work for Santa Claus and he knows tons and tons about holiday decorating. Sam is always willing to share his knowledge of decorating for the holidays for FREE any time you like. Just go to a Team Santa Inc. 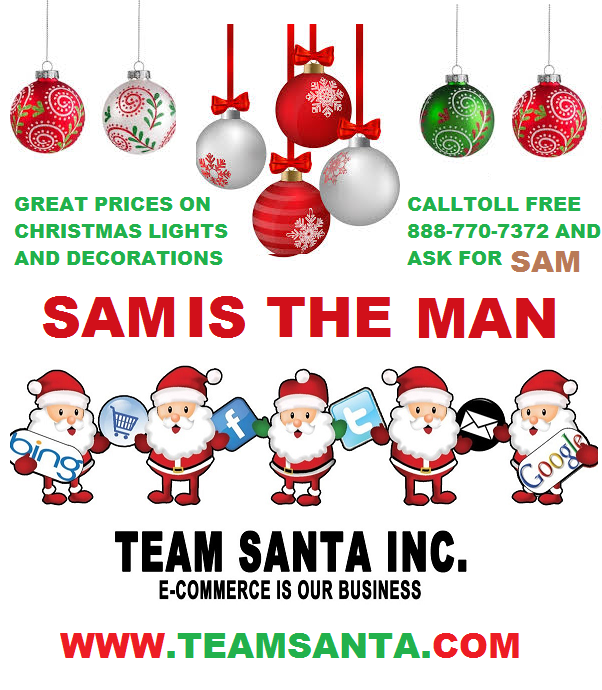 Web Store and send an email to support@teamsanta.com and ask to speak to Sam. If he is not on the other end of the email message already. If not, just tell the Team Santa Inc. representative that you want to speak with Sam exclusively. Additionally, if by chance, you are not happy about any part of your shopping experience, PLEASE tell Sam. Sam enforces our company culture that is the “customer is always right”. Welcome back to another edition of the Team Santa Inc. News Daily. Today we want to show you what we believe to be an incredibly real looking prelighted artificial Christmas tree. It’s called the Cashmere Fir, and its loaded with 900 warm white LED Christmas lights pre installed. The tree is hinged construction so simply fold up for storage and fold down for use. No assembly required. This particular prelit artificial Christmas tree‎ is of high quality and incredible value. Your friends will ask you where did you get this most awesome looking artificial Christmas tree. So natural looking. Just tell them Team Santa Inc. has this tree and is selling it on Christmastopia.com. For those of you not familiar with LED Christmas lights or never had a prelighted tree, the color warm white is akin to the old fashioned clear string light sets. The glow that itemits is simply magnificent. Soft white makes it easy on the eyes while the branches are realistically natural to the touch. sizes with or without lights. 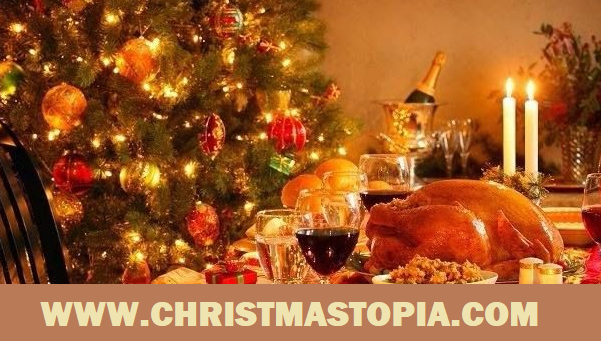 Simply visit Christmastopia.com for the entire selection. Team Santa Inc. has over 1700 different styles of artificial Christmas trees. Prelighted, unlighted, tabletop, unique and unusual Christmas trees. Even upside down lighted artificial Christmas trees. 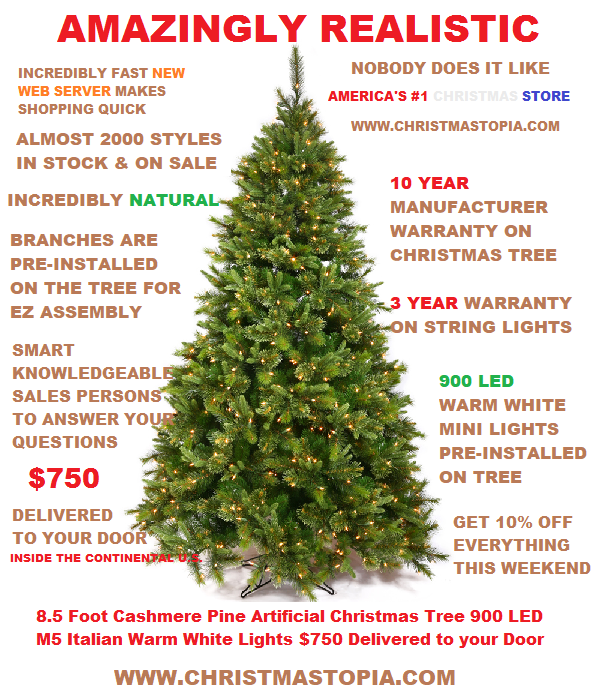 Christmastopia.com is America’s #1 Christmas Store and where you go to purchase this stellar prelighted artificial Christmas tree.‎ Not only for the home but an excellent selection for any community gathering location. All trees 5 feet and over enjoy free ground shipping the entire month of September. ‎So don’t delay! Welcome back to our continuing series of promotional offers designed specifically to keep you informed of the Team Santa Inc. product selection. Almost 15,000 different seasonal decorations online. A lot of cute stuff for Halloween. Keep in mind that if you would like a decoration in a different color than the default color, just tell us ahead of time and we will put different color lights on the decoration. Remember it’s FREE GROUND SHIPPING until September 15th. So now is an excellent time to place your order. 1. 905PKY Purple Halloween Spooky Eyes decoration. 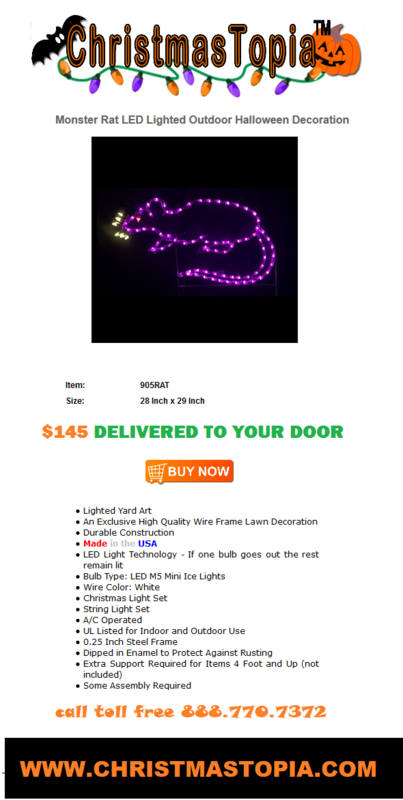 Illuminated with purple, white and red‎ LED string lighting pre-installed on the decoration. While this Halloween decoration spells out SPOOKY, the eyes are scary looking down as if they were to cast a spell. ‎3. 905GRIP Halloween Ghastly Ghosts with Tombstone spelling out RIP. This item looks awesome when used as part of an existing Halloween decorations display. Although when by itself it is creepy as all heck. Awesome for the lawn, doorway, garage door, railing, etc. 4.905BAT Halloween Flying Bat decoration. This item looks great indoors or outdoors and also has LED string lights pre-installed on the steel frame. Hang 2-3 of these lighted decoration on your home. Add some spooky tree lights and you will have scared the dickens out of your lair. 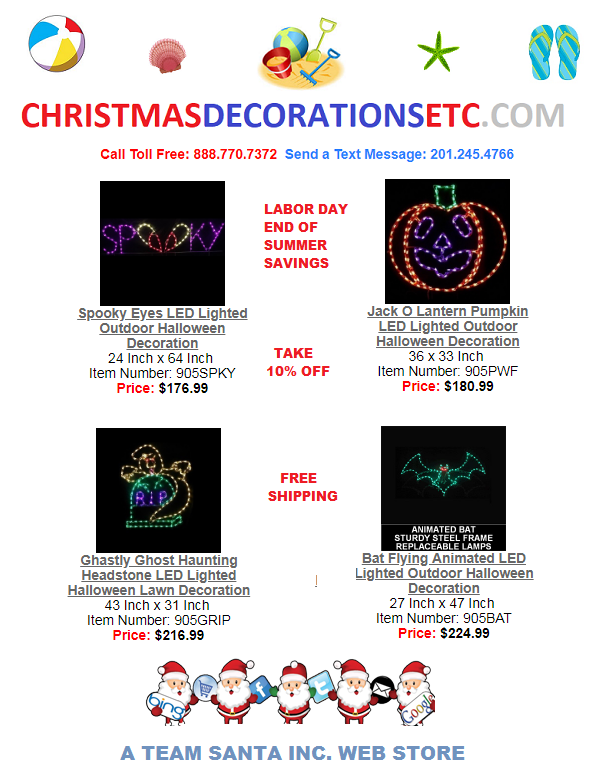 ‎We hope you enjoyed today’s edition of the Team Santa Inc. News Daily, along with the lighted Halloween decorations we are showing on our web stores. We hope you have a Spooktacular Labor Day. Enjoy!